It was hard to wake up this morning after having difficulty of sleeping until 4 AM. There were loads of thoughts in my mind, almost about everything. Deep down I knew that I need to get some sleep to be able to do my presentation well in the classroom. But these eyes just refused to close for awhile. Finally, I managed to catch 3 hours sleep and felt better when I woke up. I’m not completely myself today but well… I have to fight my battle today and push myself to finish the duty at school. 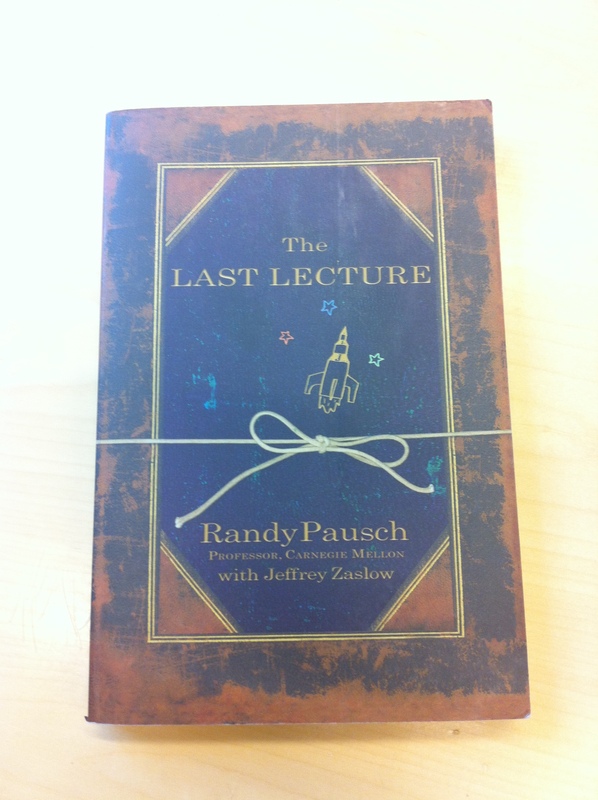 This afternoon, I presented Randy Pausch’s book called “The Last Lecture”. An amazing book that I love so much, a book that served as a tunnel for me to find my spirit back every time I feel down or sad. A masterpiece that helps me along the way in the process of becoming a better human being, a stronger person to face every single challenge that life has and will throw at me. I watched again last night his lecture on Youtube and damn… I admitted how I admire this man deeply!! A fabulous person that inspire not one, not two but million of people out there. May you rest in peace, Randy! Thank you for letting us having a piece of you in our journey. Achieving your childhood dreams… as Randy said, have I achieved mine? No, I haven’t achieved all of them but I will. I achieved my biggest childhood dream back in year 2000, a dream to have a change to travel and learn other cultures. By working in hotel and tourism, it allows me to experience the colorful life of other continents, which I am so grateful for. I know it will take time and effort to hold all my dreams in my hand but I believe I can do it, one step at the time. Brick walls… yes, I have came across many brick walls on this odyssey. So far I managed to beat those walls, one by one but I don’t and I won’t stop right here. My book of odyssey still has lots of empty pages to fill, many dreams to catch and many hopes alive. So… I’ll continue to grow, learn and walk with mother nature. Well… I had a very interesting day and the school will be over soon, a couple more days to go. I’m preparing myself for a summer season with lots of walks and photos for sure 😀 I got to go now to get my camera ready for tomorrow… see ya!!! Aside | This entry was posted in Being 35, cerita harian, delights, every day, thought and tagged book. Bookmark the permalink.